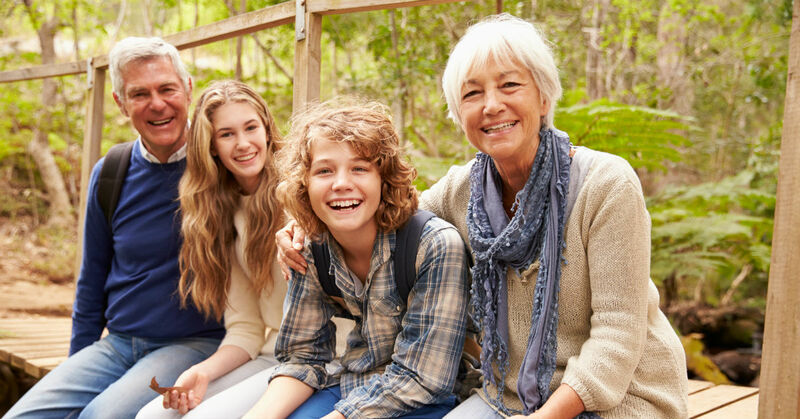 When you have a troubled teen, bonding with them parent-to-child and as a family is even more important than ever for re-establishing family bonds. And don't forget the role that grandparents can play! Families with a troubled teen understand that the troubled teen doesn't just negatively affect himself--his behavior affects the whole family. A residential treatment center like Liahona Academy understands the importance of treating the whole family in helping troubled teens. We assist in helping your family forge better communication and establish stronger bonds through family therapy sessions, alone and in groups. Helping a teen boy in a residential treatment facility also involves teaching him how to be a fully-functioning member of a healthy family. Boys in treatment at Liahona Academy, though they may be separated from the family for awhile, are still taught how to re-connect with their family upon their return home. They are given the tools to help them respect the family unit and act in accordance with that respect. Once a boy does return home from residential therapy, he will have been taught the tools to help him re-connect with family members and establish healthier communication at home. But he certainly can't do it alone! The entire family needs to aid in the re-bonding process. Family activities that promote bonding with troubled teens include activities that encourage face-to-face interaction. In other words, going to a movie doesn't really count, because it doesn't foster communication. Instead, take your troubled teen and his siblings camping or hiking, or anywhere technology use is either limited or completely unavailable. Play a board game as a family, and leave the cell phones in a basket. Let your teen help plan a family vacation you can all enjoy. But it doesn't have to be fancy. Nightly family dinners are a great bonding activity! Whatever family activities you come up with, enjoy spending time together and let your troubled teen feel that he is still a much-loved and important member of the family.